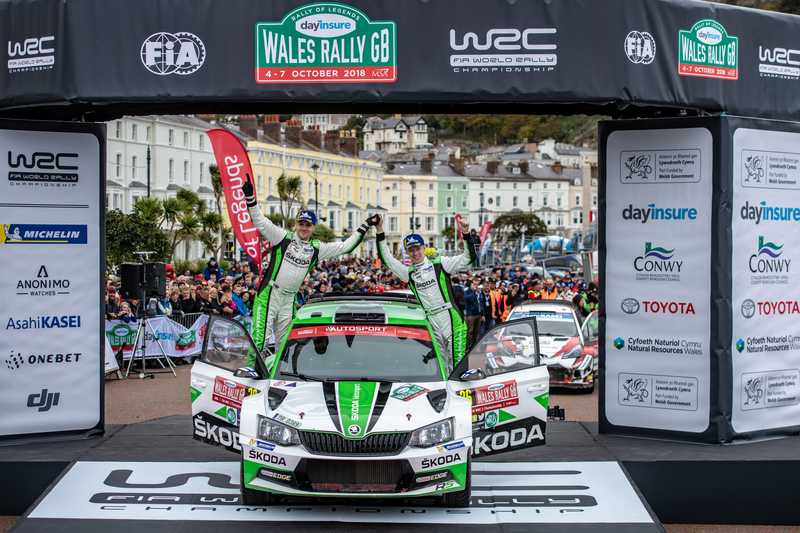 Deeside, 7 October 2018 – ŠKODA junior Kalle Rovanperä and co-driver Jonne Halttunen (FIN/FIN) achieved a start-to-finish victory in the WRC 2 category at Wales Rally GB, the eleventh round of the 2018 FIA World Rally Championship. 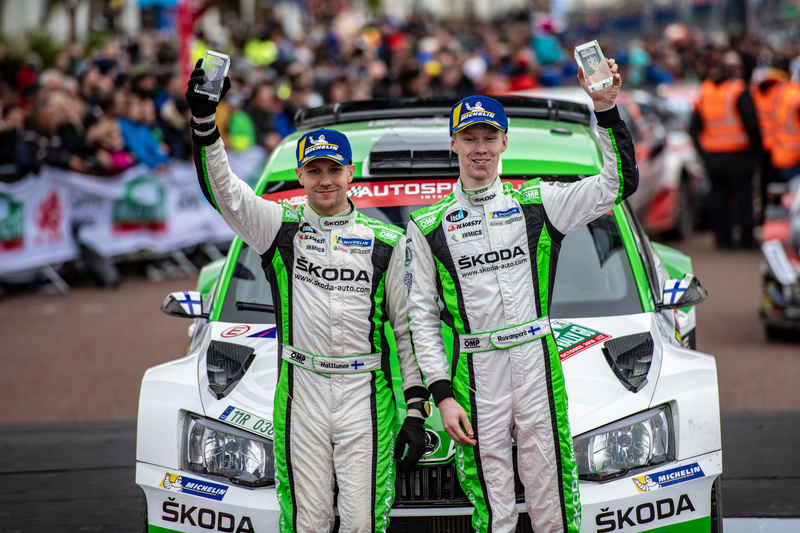 With second place, teammates Pontus Tidemand/Jonas Andersson (SWE/SWE) secured the season’s third double victory in the WRC 2 category for ŠKODA Motorsport. After the recent Rally Turkey, the Czech Brand had already prematurely won the WRC 2 Championship for Teams, for the fourth time in a row (subject to official publication of the results by the FIA). 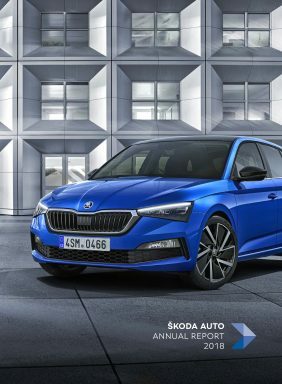 The 2018 WRC 2 Championship for Drivers will be decided between ŠKODA’s overall leader Jan Kopecký, who as planned did not compete in Wales, and teammate Pontus Tidemand. 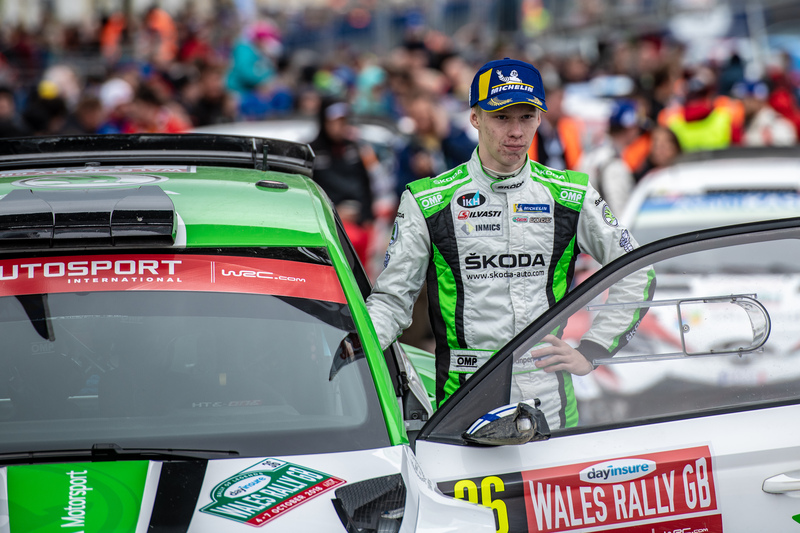 Having celebrated his 18th birthday during Monday’s pre-event test in Wales, ŠKODA youngster Kalle Rovanperä took the WRC 2 lead already on Thursday during the first special stage of Wales Rally GB and defended it until the finish line in Llandudno at the coastline of the Atlantic. He set the foundation of his dominant category victory during the Friday leg, increasing the lead over teammate Pontus Tidemand finally to more than one minute. The young Finn set in total 15 fastest WRC 2 times on the 23 stages of Wales Rally GB, his victory was never in danger throughout the event. Having already won the WRC 2 category at Rally Australia 2017 (where, however, he was the only competitor in the category), this time he defeated a strong WRC 2 field, including reigning WRC 2 champion Pontus Tidemand. 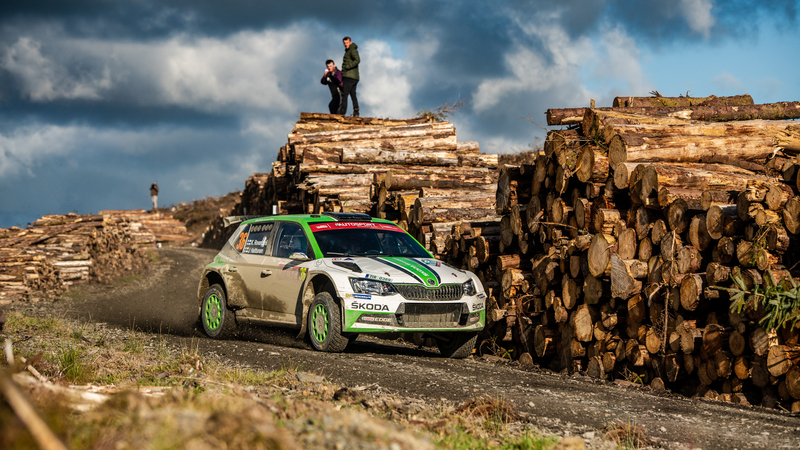 Together with co-driver Jonne Halttunen, Rovanperä controlled the WRC 2 lead during the remaining two days of Rally Wales GB with a faultless and fast ride. Pontus Tidemand and Jonas Andersson secured second position and valuable points for the WRC 2 Championship, which brought them closer to the category overall leaders, teammates Jan Kopecký/Pavel Dresler. 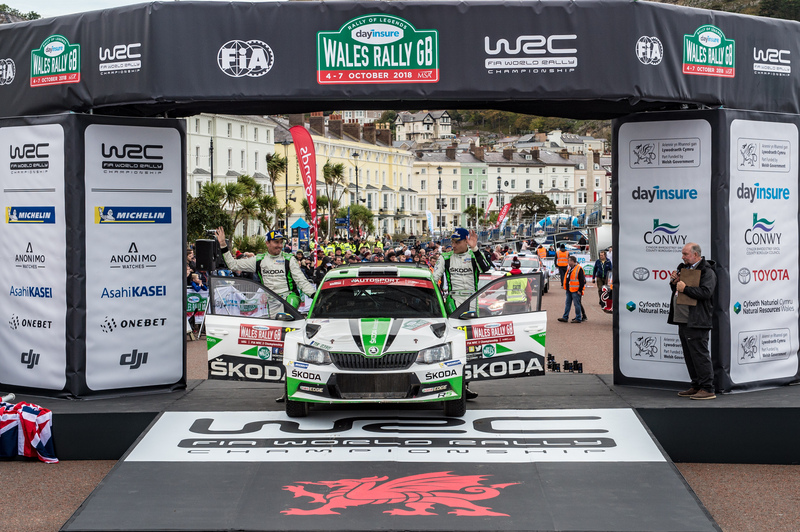 As Wales Rally GB is not part of his six events campaign, the Czech duo did not compete in the UK. The final leg on Sunday brought five more stages covering 55.64 kilometres. The eight kilometres of “Great Orme Llandudno” featured a spectacular winding tarmac road along the coastline of the Atlantic. Kalle Rovanperä set his 14th fastest WRC 2 time at the beginning of the day and confessed: “I am avoiding risks, but I keep my speed in order not to lose concentration.” With a steady drive teammate Pontus Tidemand maintained second position in the category standings. On the next stage, Rovanperä was again quickest, while Tidemand slightly damaged the right rear side of his ŠKODA FABIA R5, which nevertheless proved again to be a rock solid car. For safety reasons, Tidemand and co-driver Andersson changed the rear wishbone with the spare they carried on board their rally car. 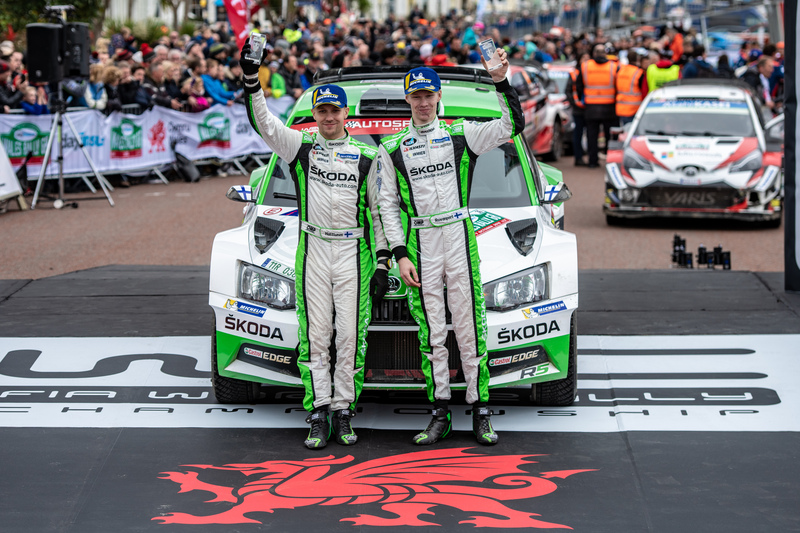 On the remaining three stages, which included two runs over the tarmac stage close to Llandudno, Kalle Rovanperä and Jonne Halttunen crowned their fantastic performance by winning the WRC 2 category at Wales Rally GB more than one and a half minutes ahead of teammates and WRC 2 champions Pontus Tidemand/Jonas Andersson.